If you’ve taken a stroll past CSUN’s Matadome and the recreation center, past Jacaranda walk, above the east field and adjacent to the soccer field, you may have recently noticed something resembling a giant sandbox on the eastern edge of campus just before Plummer street. That’s the new Matador sand volleyball facility – a field that brings a part of the beach to the San Fernando Valley and gives the women’s sand volleyball team, the first and only of its kind at CSUN, men or women, a place to play its home games. The sand volleyball team began its second season in early March, and the team finished with a 3-8 record. “Last year was our first year, and I’d say we’ve improved so much from our past season, especially with our new coach Gary Sato. 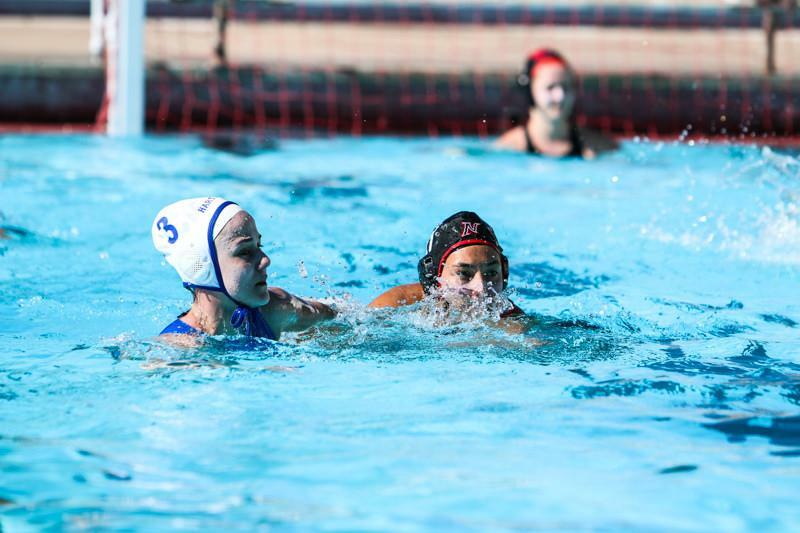 He knows the game,” said junior Alia Casino, who also plays indoor volleyball for CSUN. The major difference between this season and the last is the addition of a home court. 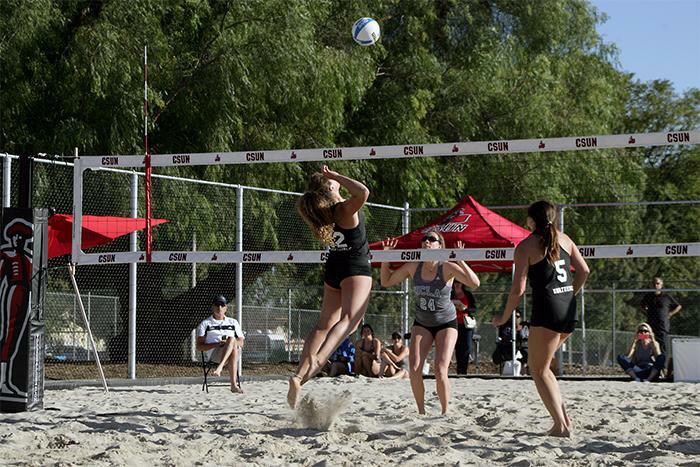 Last season, the sand volleyball team played all ten of its games either away at places like UCLA’s Annenberg beach house, or at neutral sites, such as when the team played the University of Southern California for the first time ever. The transition form indoor to outdoor is problematic, but is doable, said senior Mahina Haina. Sand volleyball was recognized by the National Collegiate Athletic Association (NCAA) as an emerging sport in 2011, citing the increase in participation, the fact that there has been Olympic beach volleyball since 1996, and an increase in opportunities for female athletes as its reasoning. The sand volleyball team at CSUN, though, is composed mostly of women who are on the women’s indoor volleyball team. The head coach of the sand volleyball team, Jeff Stork, has also been the head coach of the women’s volleyball team for 12 seasons. Some of the overlap includes Casey Hinger, a senior from Fullerton who has been named to the All-Big West first team on multiple occasions throughout her career, and Kelcie Randazzo, also a senior, who was chosen as an alternate at the Women’s USA Collegiate National Team tryouts in Colorado. There are other similarities in the rosters of both teams, so the question is: what does all that overlap mean for the sand volleyball team? The issues the team is having could lie in the differences between sand volleyball and indoor volleyball. In addition to the obvious change in surface, sand volleyball is played in teams of two instead of six per side. The success of the team could also lie in how they handle the changes, and Stork will look to take advantage of their resources for future seasons to come.